This page provides access to archives of past music projects envisioned and created by Michelle Kyle. The Birthday Series was a Toronto concert series that presented nine concerts between January 2010 and May 2011. 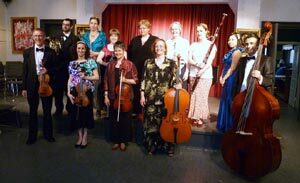 The series celebrated the lives and music of composers of art songs and chamber music with programs of their works on their actual birthdays. Professional performers and students from Voice Studies at University of Toronto presented well-known and rarely performed vocal and instrumental music. Our friendly events combined music, education and joyful celebration, with insightful narration, home-baked cookies, birthday song sing-alongs in the composer's language, CDs of the composer's music as door prizes, and complimentary birthday cake served with whipped cream, coffee and tea. 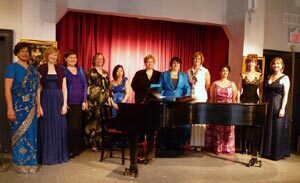 The Heliconian Choir and Orchestra were co-founded and led in their inaugural season by artistic director Michelle Kyle and conductor Sarah John for the Toronto Heliconian Club, a downtown Toronto meeting place for professional women in the arts and letters, founded in 1909. The inaugural concert took place on May 29, 2011. From 2005 until 2013, Michelle kept track of her public music performances on this web page. Michelle has been a piano teacher specializing in private lessons for adult learners, including both beginners and experienced musicians.